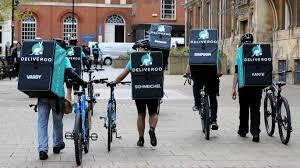 A lost Deliveroo contract has admitted that it can’t find its address after several weeks of cycling frantically around the neighbourhood. The new contract is considerably heavier than previous contracts, which has slowed down the delivery. The contract was just about to be delivered when it realised it forgot the complimentary prawn crackers and had to return to the restaurant.